By the way these blackheads and whiteheads are formed when dead skin and sebum gets infected by bacteria and then they will form a plug that oxidises and turns black, resulting in a blackhead and when the same thing forms under a fine layer of skin, it remains pearly white, which we call as whiteheads. 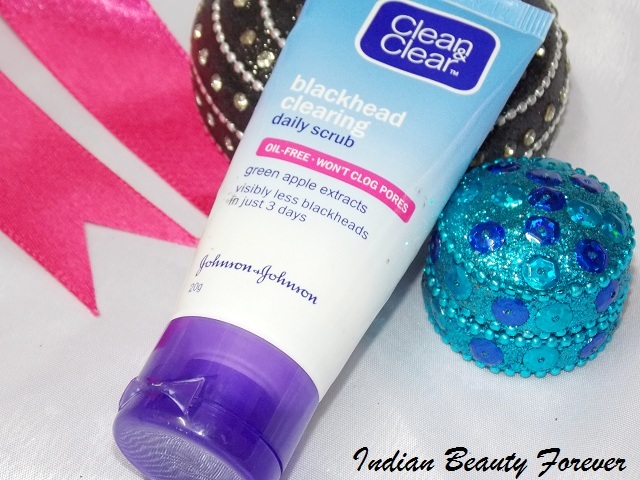 Anyways, enough of the info, I will review Clear and clear blackhead clearing daily scrub. This is available in different sizes and mini chotu tube as well, that you may carry while travelling. 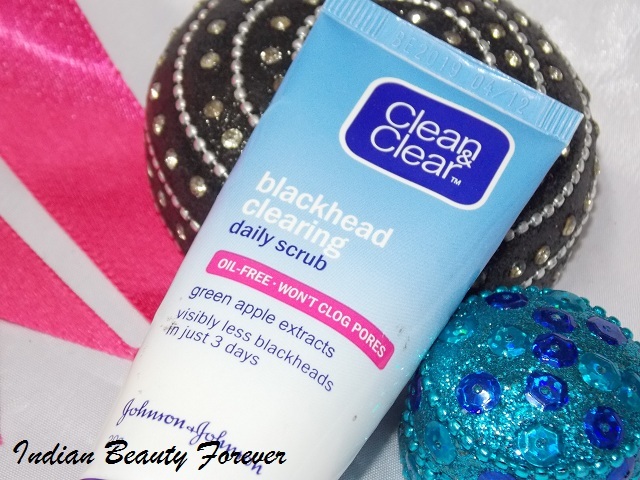 Claims- The formula of this scrub contains very tiny scrub particles with apple extracts exfoliates the skin gently. 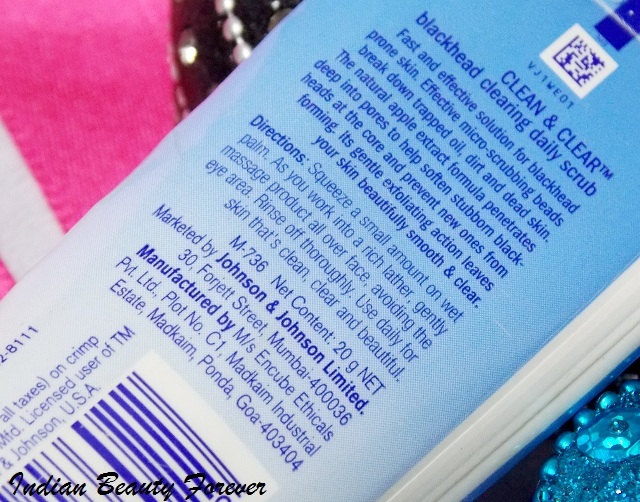 Removes, the oil and dirt effectively thus prevents blackheads and pimples. Ingredients- Hold your breath Guys!!! It's really long. The texture is gritty, of course it's a scrub anyways.. but it's not like the typical walnut apricot scrub but has very tiny salt kind of crystals that aren't too abrasive on the skin. I remember, Lakme Green tea scrub is also very similar to this concept where crystals rules the scrubs, yeah and there was one more Nivea skin refining face scrub for oily skin, that was a bit abrasive, As far I remember, I have already reviewed that ages ago. The fact that this clean and clear is a bit different than those is due to that it lathers more and has tinier crystals that aren't very densely suspended in the gel like medium! 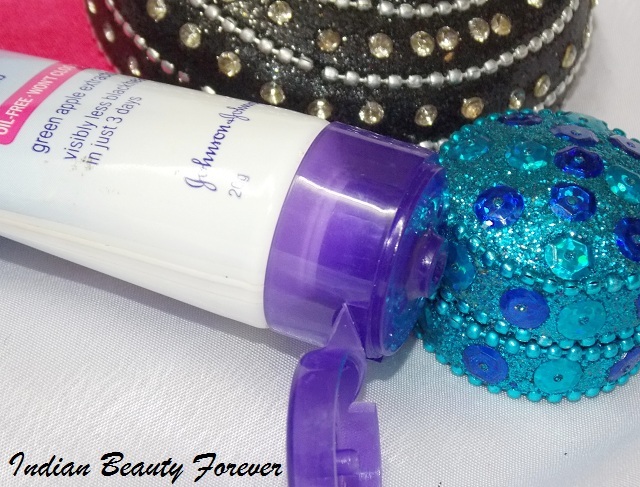 It exfoliates very gently, so I can use it everyday without thinking too much about over exfoliation. While taking it off, there are some mild lathers, so it can also work as a cleanser, you don't need to use a cleanser actually before this. Nope!! Consistency is a bit runny so, I do not splash my face or rather the nose with water since when you do that it can dilute the scrub resulting in the reduced efficiency. Now, I have only one concern the Ingredients!! have you seen the list. It is really long! So, hare, I am leaving it up to you, if you wish to try it or not since results wise, yes, it does work when used regularly. 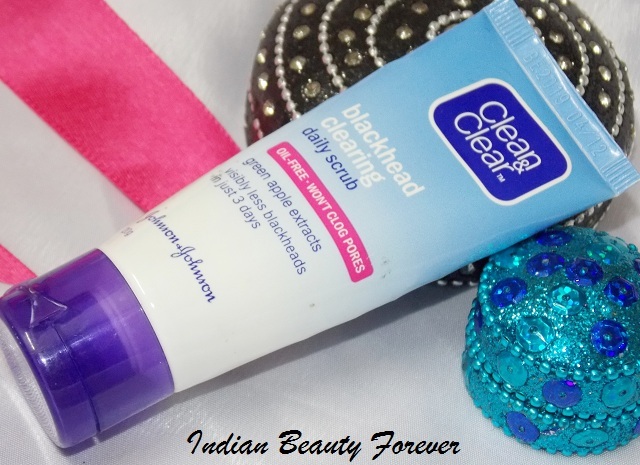 Take- Try it if you have blackheads prone oily skin and you are not too concerned about the ingredients list. Do you? I am leaving it for you! Other than that, it is good for daily use.